This entry was posted in Midd Blogosphere and tagged LIS Staff Interest on July 6, 2017 by Joseph Watson. This entry was posted in Midd Blogosphere and tagged exhibits, libitsblog, libspotlight, MiddPoints, Special Collections on January 8, 2015 by Joseph Watson. Special Collections has enjoyed a busy start to 2014 with several J-term classes visiting this week to use our collections for coursework. Prof. Peter Lourie’s class Adventure Writing and Digital Story Telling came to see 17th to early 20th century examples of travel and adventure writing, as well as to view photos from the College Archives of students engaging in their own adventures over the years. And below see some photos from Prof. Kacy McKinney’s class Space and Place in the Graphic Novel. 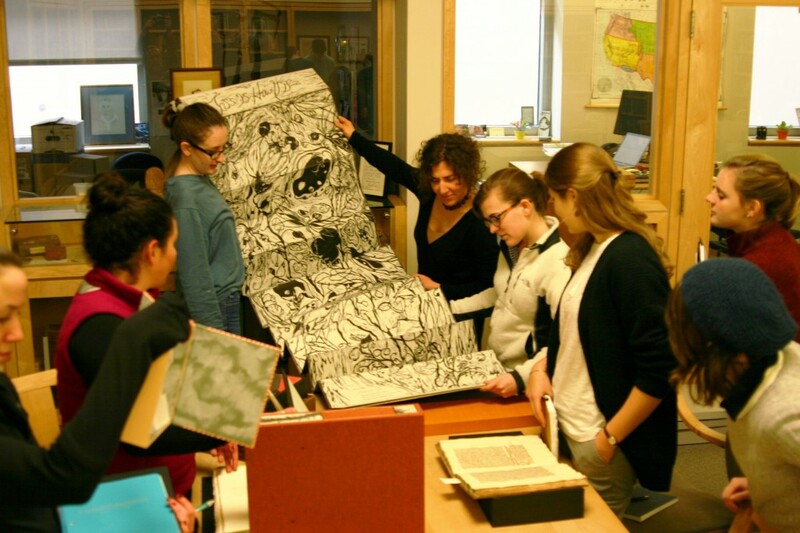 Students learned about the history of illustrations in books, viewing everything from a 1484 illuminated Latin text, to recently published graphic novels. 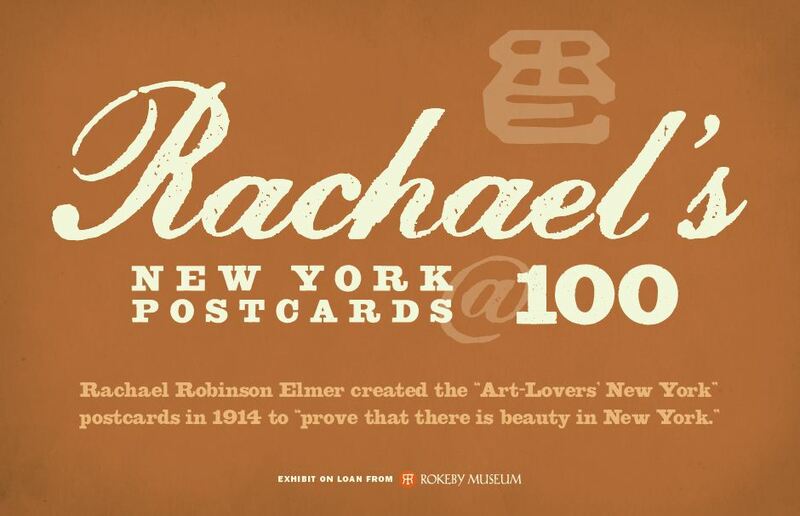 Special Collections Director Rebekah Irwin shares a large format art book. 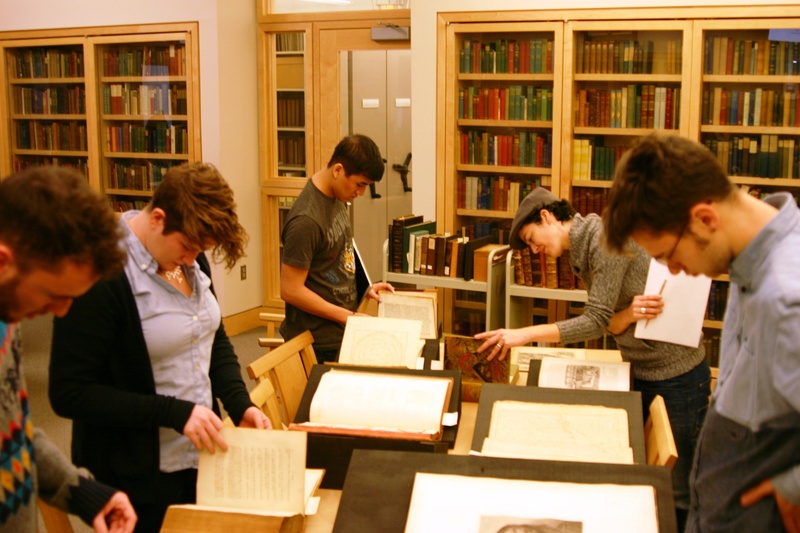 Prof. McKinney and students view illustrated books from the 16th to the 18th century. This entry was posted in Midd Blogosphere and tagged LIS Staff Interest, Middlebury Community Interest, Post for MiddNotes, Post for MiddPoints, Special Collections on January 9, 2014 by Joseph Watson. 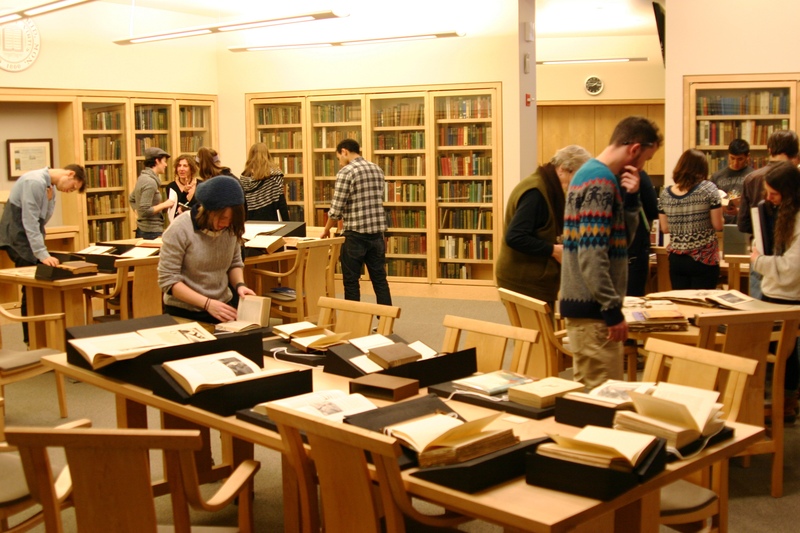 Special Collections has enjoyed a busy start to 2014 with several J-term classes visiting this week to use our collections for coursework. Here’s a group from Prof. Kacy McKinney’s class Space and Place in the Graphic Novel. Students learned about the history of illustrations in books, viewing everything from a 1484 illuminated Latin text, to recently published graphic novels. Students looking at a wide selection of illustrated books. This entry was posted in Midd Blogosphere and tagged College Archives, lisblog, MiddPoints on January 8, 2014 by Joseph Watson. Civil War letters from the Middlebury College Archives featured on VPR. 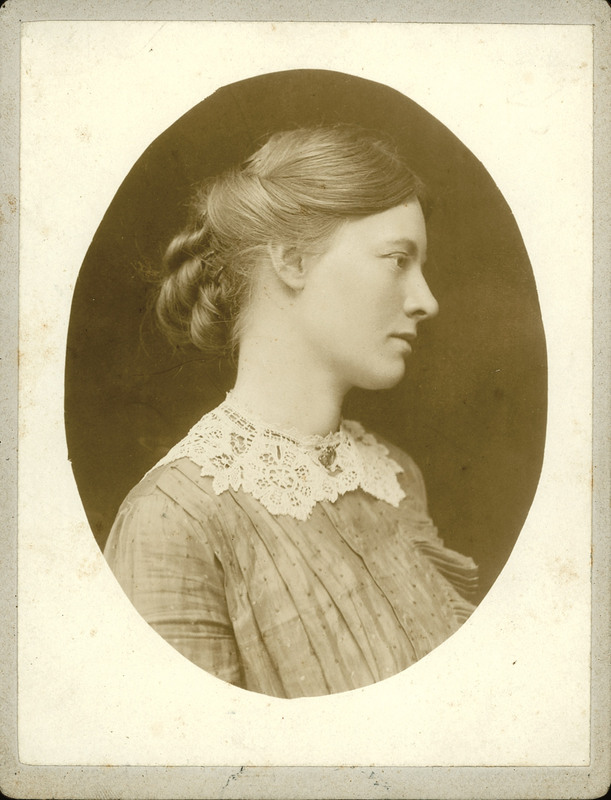 Last week Jane Lindholm from Vermont Public Radio visited the Middlebury College Archives to find out more about a recent gift of Civil War letters. To listen to the story and see more images, visit the VPR web site here! This entry was posted in Midd Blogosphere and tagged Civil War, College Archives, lisblog, MiddPoints, Special Collections on November 22, 2013 by Joseph Watson. Instead of holding book sales to get rid of unwanted books, we’re now sending withdrawn books to Better World Books, a company that turns them into money for the good of humanity. Rather than sending them directly to recycling, we found the Better World Books library program. We ship our withdrawn books to them at no cost to us, they market them to a world-wide audience, and when they sell them, a percentage of the profit comes to us and a percentage goes to the BWB Literacy Partners. It’s a very efficient way to dispose of our withdrawn books while benefiting both Middlebury and the world beyond. If we ever have a quantity of books that we think will be of interest to our local community, we’ll probably put them in a sale, but for now, no book sales are scheduled for the foreseeable future. This entry was posted in Midd Blogosphere and tagged Book Sale, LIS Staff Interest, Middlebury Community Interest, Research & Collection Services on November 15, 2013 by Joseph Watson. Snippet of The Roost blog. 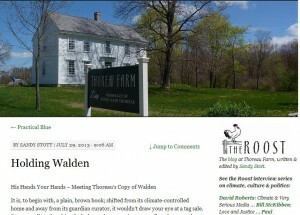 Thoreau’s personal copy of Walden is invaluable and one of Middlebury College’s most significant holdings. 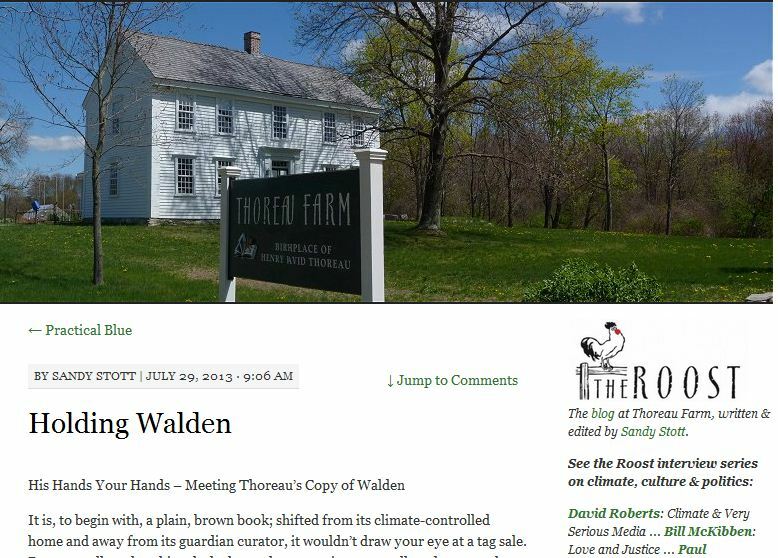 Special Collections plans to digitize the pages with Thoreau’s marginalia so that this unique content can be shared widely on the web. In order to preserve the hard copy safely for future generations, access to it is strictly limited and an advance appointment is necessary. Please see the Special Collections page for more information. This entry was posted in Midd Blogosphere and tagged LIS Staff Interest, Middlebury Community Interest, Post for MiddNotes, Post for MiddPoints on July 29, 2013 by Joseph Watson.